I'm going to drop a truth bomb, folks. Reading baby board books is melting my brain. I'm a bookworm. I like stories. I like my italicization to make sense and my characters diverse. 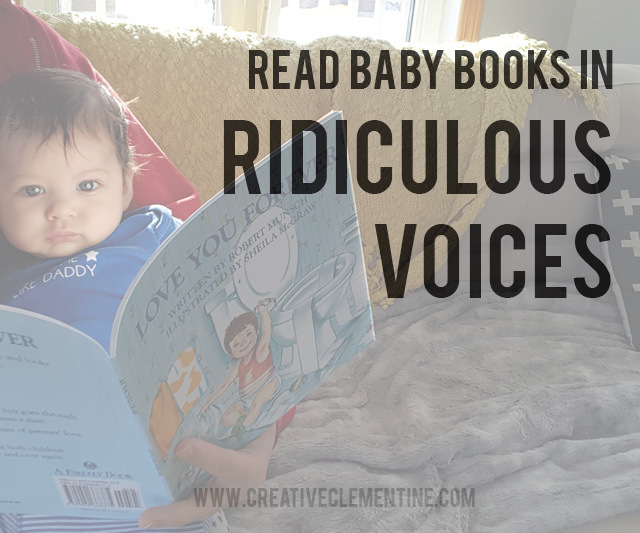 But in the world of board books, the only way I cope is by reading to Baby Clemington using the most ridiculous voices imaginable. Honestly, everything is better when it is in the voice of Liam Neeson. It gives this book a much needed ominous Taken vibe, which makes you wonder about the fate of the old lady whispering hush. Do you have any goofy ways of coping with baby books?? I'd love to hear all about it! !